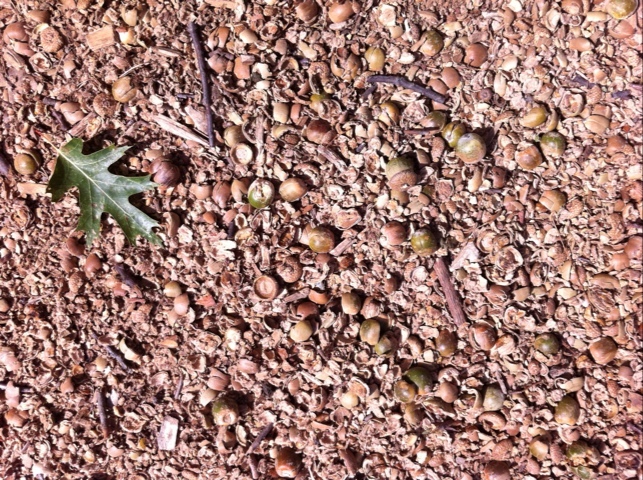 It’s fall and the oaks trees in the neighbourhood have started to drop acorns. The neighbours behind us have a huge oak tree in their back yard that our squirrels like to spend time in. This time of year you can hear acorns dropping from that tree and hitting the roof of their house or their car. 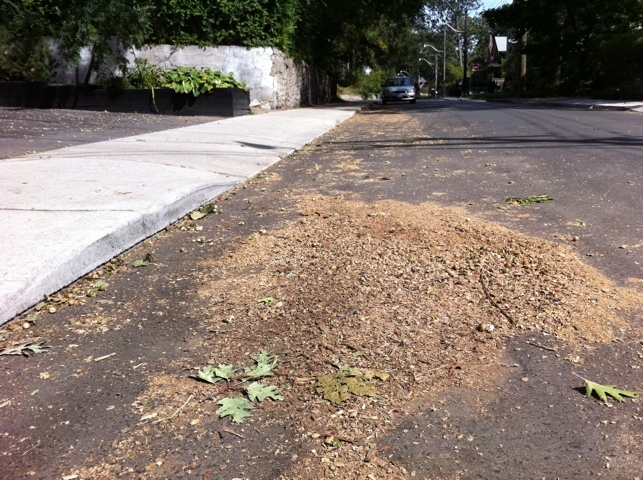 Here is an impressive pile of acorns that fell into the street not far from our place. The cars have ground them up by running over them. Everywhere you can see squirrels running around with an acorn in their mouth, looking either for a place to eat it or to bury it for later. Nice how squirrels contribute to planting new trees!